Javier Zanetti is hopeful that Mauro Icardi will return to the field for Inter in the next two weeks. Icardi was stripped of his captaincy last week and then withdrew himself from selection for the Europa League first-leg tie against Rapid Vienna. The Argentina striker also missed the Serie A clash against Sampdoria and the return fixture versus Rapid, with Inter progressing in Europe and drawing Eintracht Frankfurt in the last 16. 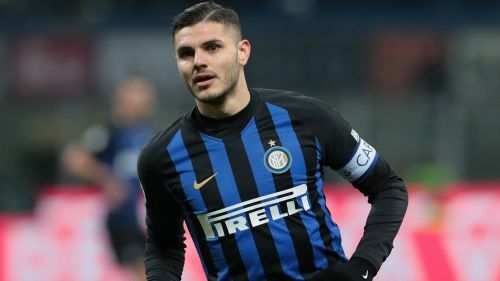 Inter director Zanetti is keen to see Icardi back in the fold in time for the first leg on March 7, but he insists any decision on 26-year-old's availability will depend on what is best for the team. "Mauro's still an important player for us," Zanetti told Sky Sport Italia. "We hope to have him back for this tie. It would help the team. "I believe that when there are problems in the dressing room, you have to solve them internally. That way, this group can get stronger and stronger. I'd like us to create the conditions so we can keep winning. "I'm sorry for the situation that has arisen but, I repeat, it must be sorted with the first thought being the good of the team. "The [captaincy] decision wasn't taken lightly, so I don't think it'll change. I haven't talked to him yet. I'd like to let some time pass but, I reiterate, the team come first."